BMW is marketing its largest ever brand awareness campaign during this year’s Winter Olympics. 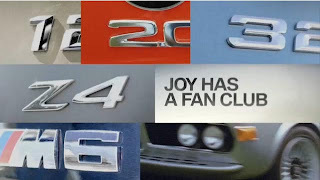 The “Story of Joy” campaign is built off the early foundation first started with the launch of the BMW Z4 campaign. Brand messages encompass everything from emotional responses about the product line making drivers feel youthful and inspired. The campaign also dips heavily into BMW’s heritage of driver events. It’s the second time in the past two years BMW has highlighted the Southern California Bimmerfest event, which is one of the largest gathering of BMW owners and fans. The last time was in a spot for the last 3-series sedan. The new brand campaign comes at a time when BMW’s most aggressive competitor Audi is launching its own brand campaign mocking BMW for falling behind Audi in “three straight Car & Driver comparisons.” The Audi spot is entertaining, but the BMW brand ads appeal to those who are advocates and satisfied owners of BMW products. Showing images of happy owners, enjoying their vehicles is nice feel good marketing, but is it effective? This is a difficult question to answer and depends on what BMW is trying to gain from the spots; sales of course, but I’m sure some positive brand awareness is in the mix of campaign goals too. The issue is that the ads are forgettable and barely interesting enough to share from a brand enthusiast perspective. Unlike the 3-Series ad from 2008 that brought together a strong emotive response from many BMW brand advocates and fans, the new Olympic spots fall flat giving people little reason to talk about the ads or promote them to their social network. The Audi ads have a more interesting message; though, I’m personally not much of a fan of mentioning your top competitor in your marketing, since you’re just giving your key competitor free advertising. That said the Audi ads are at least memorable and interesting enough to share. They're definitely not forgettable. The BMW Joy campaign is pleasant and aligns well with an Olympic games feel good message. It’s just that the ads will probably be lost in the marketing clutter.